The largest and most affordable Online Cargo Box Bicycle Carrier Shop! Cargo Box Bicycle Carrier shop the largest and most affordable! Do you want to buy a Bicycle Carrier Cargo Box online? 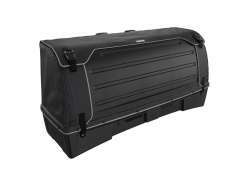 Hollandbikeshop.com has the Bicycle Carrier Cargo Boxes you're looking for. When you're leaving your bicycle at home but taking all kinds of other things with you that may require some extra protection and/or space, a cargo box is the perfect solution. With a cargo box that can be mounted on your tow bar for example, you'll quickly have an easily accessible, spacious transport solution in the boot of your car. 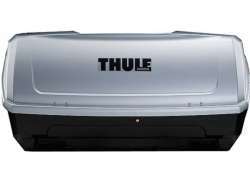 At Hollandbikeshop.com you can find a wide choice of Bicycle Carrier Cargo Boxes by brands like Thule. In our wide range of Bicycle Carriers on Hollandbikeshop.com you'll not only find bicycle carriers and replacement parts, but cargo boxes in various colors, sizes and models too. You can combine a cargo box with the bicycle carrier on your car for added cargo space. You're sure to find the transport solution you're looking for here! Hollandbikeshop.com is dealer of Cargo Boxes for Bicycle Carriers and has a large and affordable range. We also often have Bicycle Carrier Cargo Boxes on sale or in our outlet, so keep an eye on our sale button. The largest and most affordable Bicycle Carrier Cargo Box shop!